Deal for fellow chipmaker could get EU approval before Christmas, report claims. 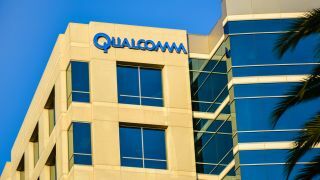 Qualcomm may be getting an early Christmas present, according to reports that claim the US firm's multi-billion takeover of fellow chipmaker NXP Semiconductors may get EU clearance before the end of the year. Sources speaking to Bloomberg have claimed that EU approval for the deal could be granted sooner than expected after regulators accepted Qualcomm's pledge that it would not take over all NXP's patent library. NXP is best known for supplying chips for the rapidly-growing smart automotive market, where it already works with a number of the world's top carmakers to support the development of self-driving cars. Qualcomm announced its bid for Eindhoven-based NXP last November, but the deal attracted concerns from the EU's antitrust body, with the European Commissioner for Competition Margrethe Vestager saying earlier this week that a ruling on the acquisition of NXP may not come until the new year. Neither NXP or Qualcomm have commented on the report, which comes just days after the latter rejected a reported $103bn takeover bid from Broadcom, an offer Qualcomm's board claimed 'dramatically undervalued' the company.